Blockchain is quickly achieving parity between human and robotic drivers, and should soon accelerate self-driving solutions into the realm of statistical perfection. Our modern era is a pivotal time, and new technology is constantly pushing the status quo. While tech gurus, engineers, and developers make steady progress in numerous industries, there are only a few trends that will define this point in time for our successors. Those who look back fondly at the dawn of the 21st century will likely count the advance of blockchain and autonomous vehicles among the key emergent technologies. They will also recognize that these two innovations were undoubtedly intertwined. The dream of self-driving cars first captured the hearts and minds of people in the 1980s, with Carnegie Mellon and Bundeswehr University Munich students creating the seminal autonomous vehicles ALV and Eureka Prometheus, respectively. These cars did not rely on magnetic tracks or remote control like previous attempts, but without further advancements in technology that hadn’t yet taken place, progress stagnated. The first true step forward in allowing auto manufacturers to build their own self-driving models was the proliferation of wireless internet. Blockchain, on the other hand, has existed for less than a decade. The new technology helps remote collections of data remain secure, and cohesive, but how does this functionality help automate vehicles? How can blockchain help cars drive themselves? Blockchain has several properties that are relevant to autonomous transportation. The infrastructure allows multiple users in a single decentralized network to share data. It uses encryption and a complicated algorithm to democratize the usage of network power between all participants, and logs each verified transaction on a permanent ledger. Accordingly, blockchain is a relevant addition to internet of things (IoT) solutions, because its transparency and accuracy of incoming data are irrefutable. Coincidentally, autonomous vehicles are a perfect candidate for IoT. Wireless nodes in each vehicle consistently receive data from the environment, and when this information is ordered on the blockchain, there can be no question of its veracity. This allows computers to speak with each other without human oversight or intervention, to preserve data integrity, and to draw accurate conclusions from the data of other nodes. Companies like Streamr and Modum are already integrating blockchain with the IoT, by providing APIs and developer environments that allow users to place their data, and the data from their IoT devices, on a live marketplace. While Streamr is creating a decentralized data marketplace that allows users and machines to handle data in a completely P2P environment, and Modum is helping IoT devices rely on this data, other companies like Oaken have applied it more directly to tracking and monitoring vehicles. “Let’s consider a self-driving electric car. For optimal operation, it needs data from other machines, such as traffic congestion information from other cars, electricity prices on nearby charging stations, weather forecasts, and so on. Streamr provides a single interface for real-time data delivery and payment, making data streams tradeable using the DATAcoin token. 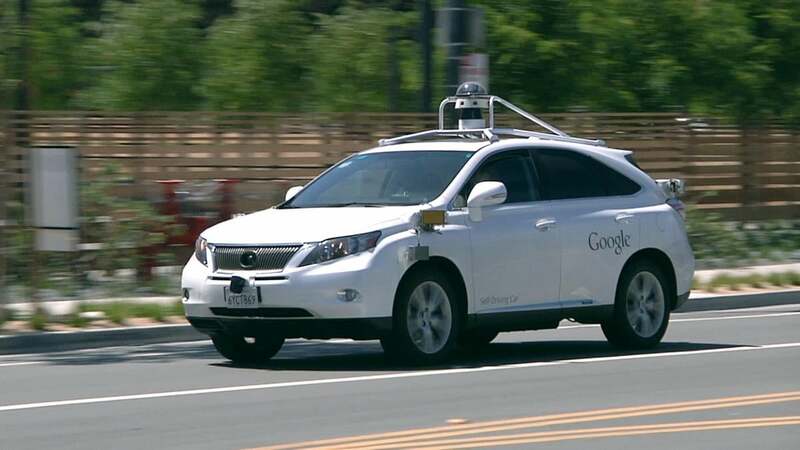 The car can autonomously get the data it needs and pay for it. In turn, the car can sell the data it produces, such as traffic data to other cars, road condition measurements to a smart city, location and battery level to advertisers, and so on. A data stream economy is born,” reads Streamr’s website. Blockchain also supports smart contracts, which use cryptocurrency to fulfill contract conditions and exchange value automatically. An autonomous car on the Streamr platform, for instance, will automatically buy data from other vehicles, weather stations, traffic channels and other sources that it needs to drive. It can also sell data back to the same sources, with data that it collects at ground level. One of the biggest unknowns behind the concept of a self-driving, computer-assisted car is safety. Because the computers that operate automated cars are wireless out of necessity, many fear they are vulnerable to remote control by hackers. This could be a dangerous situation, and one that our centralized way of storing and receiving data exacerbates. A small breach into a centrally-located source of autonomous car data would literally derail the industry, as mal-intentioned infiltrators cause havoc on the roads. Decentralized blockchain solutions like Streamr naturally prevent this, because those with access to the network cannot alter the blockchain nor target individuals. Before autonomous cars can evolve from relative obscurity to everyday use, there can be no doubt that they are safer than humans driving. Currently, there is still room for doubt. Every time an accident happens because of autonomous driving, the industry takes ten steps back. However, blockchain is quickly achieving parity between human and robotic drivers, and should soon accelerate self-driving solutions into the realm of statistical perfection. Whether major auto manufacturers will adopt solutions like Streamr is undecided. Many, including Tesla, Toyota, Mercedes and more are already testing their own solutions. Regardless, there is no question that blockchain deserves a place at the table.